An Aussie passenger who recently flew Emirates has called out the airline for its sad attempt at a chicken sandwich. Paul Carlin spent thousands on flights from Brisbane to Dublin over the Christmas break, but was left unsatisfied with an inflight meal that was served to him – a Cajun chicken and cheese sanga with the piddliest bit of chicken. 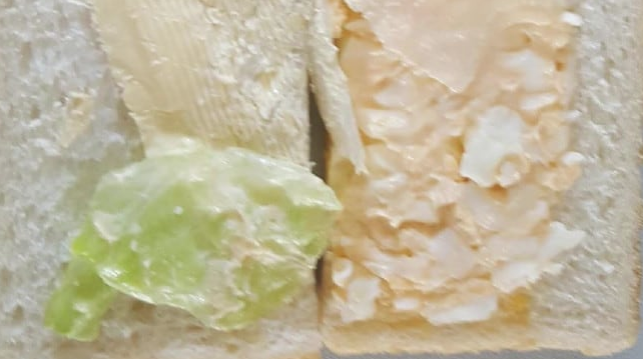 Carlin shared the above photo of the meal – which makes any uni student’s cooking attempt look like three-hat quality – on social media in response to a Jetstar customer’s disappointment over his $9 egg sandwich (see below). Speaking to The Independent, Carlin said his mouth was left “as dry as the Sahara Desert” after taking a bite of the chicken sambo, while his partner didn’t even eat hers. Carlin complained in writing to Emirates, and was told by the airline that it was looking into the case, according to The Independent. airlines everywhere are having to cut back to survive. Low season sales on many airlines are either awful or too many seats at loss leader levels. Some international airlines only seem to be making money during school holidays, which means likely cutbacks in flights in low season, but you can’t send out 1/2 a widebody jet & if your frequency drops below daily, you start losing business types who pay full fare.